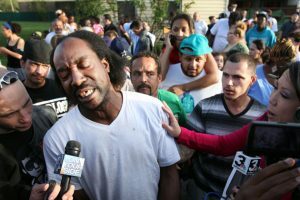 McDonald's reached out to Charles Ramsey via Twitter. While most of the folks at McDonald’s (MCD) are selling burgers, some are busy putting out fires. In just the past six weeks or so, Massachusetts residents forced the restaurant chain to pull an offensive Big Mac ad, the Center for Science in the Public Interest hammered its children’s menu as too salty and fatty, and hundreds of workers in New York staged a food strike. Meanwhile, in Michigan, the company settled a lawsuit with a Muslim community over false advertising. And just when the company seemed to be toying with good news—McMuffins all day!—it turned out that no, that’s notlogistically possible.